Is A Full Head Of Hair Possible From A Hair Transplant? Male pattern hair loss is a progressive hair loss condition. It can start in the early twenties and slowly progress over time. Generally following a hereditary pattern of hair growth. 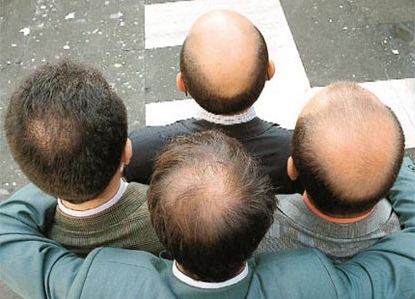 The hair loss pattern can be hard to predict. Especially when starting at an early age. A hair transplant can treat small hairline restoration. Is a full head of hair possible from a hair transplant procedure? A hair transplant is the movement of genetically strong hair. From the donor to the new area of the head to replace lost hair. The donor hair is around the back and sides of the head. It´s a finite resource. As a result, the hair will run out eventually. Depending on how good the hair characteristics are. More or less can be removed over one or multiple hair transplants. The safe amount removed will dictate how much is available to treat the area of hair loss. Hair restoration planning is important. Understanding what can realistically be achieved to ensure you are happy with the result. This is especially the case with advanced hair loss. Often the expectation is to want a full head of hair from a hair transplant. The number of grafts required is dictated by the surface area to cover and the quality of your hair characteristics. The number of grafts that can safely be extracted in one procedure and overtime will largely be dictated by the quality and density of your hair around the sides and back of your head. If a full head of hair is possible. It´s only possible because it looks like a full head of hair. Not because it is one. Understand a hair transplant cannot replace like for like hair lost. The simple maths doesn´t allow for this. But, with surgical and artistic skills the look of a full head of hair can be achieved. The hair grafts are placed close enough together to mimic the look of a high hair density. But the shorter the hair the scalp becomes visible. As a result, the look of high hair density is lost a little. A hair transplant looks better when the hairs overlap each other. Longer hairs add to the look of fullness. Blocking the scalp to the eye. The distribution of the hair follicles is another important factor. Single hair units placed along the hairline. Then multiple hair units placed in specific areas behind. Over the top of the scalp, using the two, three and four hair units. To gain the needed coverage and density required for a full head of hair. A hair transplant is permanent. Removing the transplanted hair is not impossible, but not advised. Visible wounds can be left. Fixing a low adolescent looking hairline carries concerns. Especially when young with minimal hair loss. Future hair loss cannot be considered. Even with a high-quality donor area planning is important. Not to assume a low hairline design can be sustained. “Front-loading” a hair transplant automatically increases the potential area of hair loss. If this cannot be treated with the appropriate hair density. To blend with the surrounding hair. The result is an unnatural looking head of hair. With the early stages of hair loss the initial plan should be to stabilise the hair loss. Generally, the best results from treatment are gained in the early stages of hair loss. With careful planning, it is possible to achieve total hair coverage on a higher hair loss stages. On the right hair transplant candidate. The educated use of the donor hair. Appropriate hairline design and placement. All will help to ensure a natural hair density and hair coverage can be achieved. All need to be discussed during your consultation process.